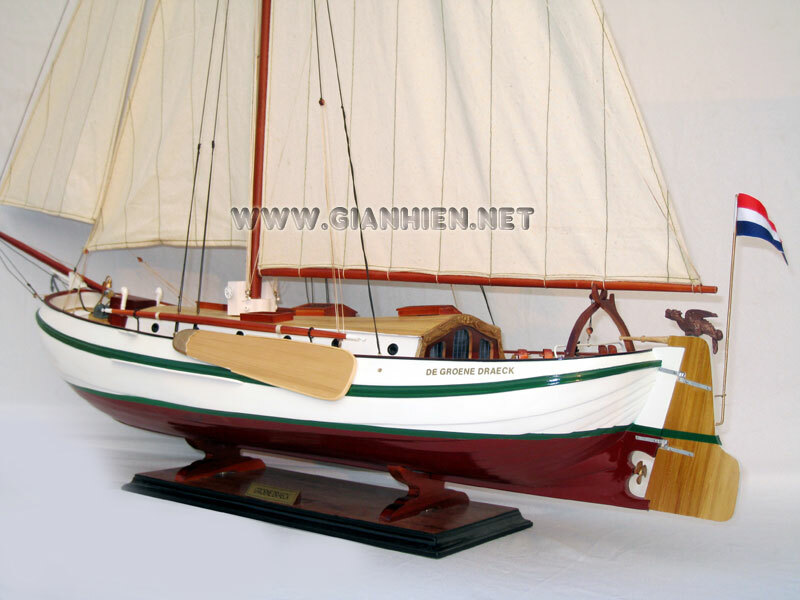 This model boat is hand-crafted from hard wood with planks on frame as clicker built construction and then the hull is painted as the color of the real boat. 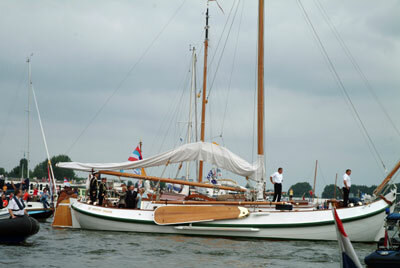 De Groene Draeck (English: The Green Dragon) is a royal yacht of Queen Beatrix of the Netherlands. 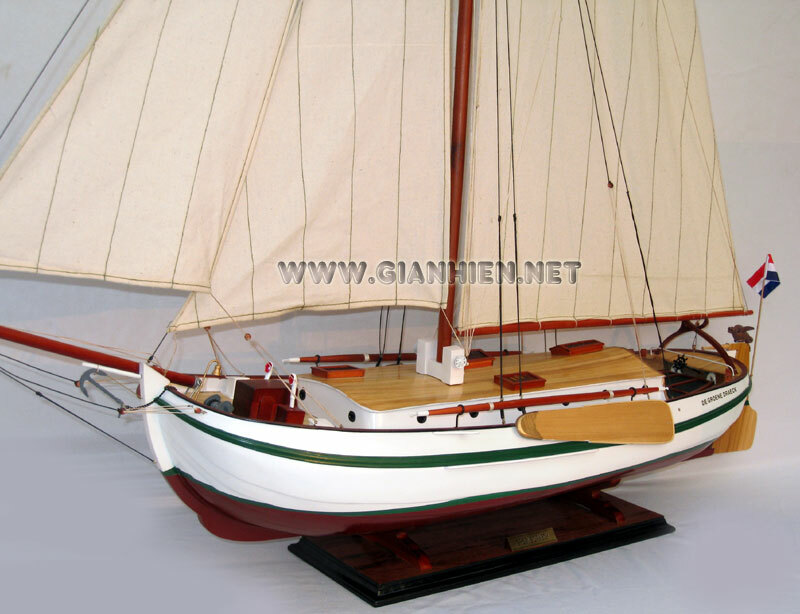 It was named after the flag ship of Piet Hein, a famous 17th century Dutch admiral. 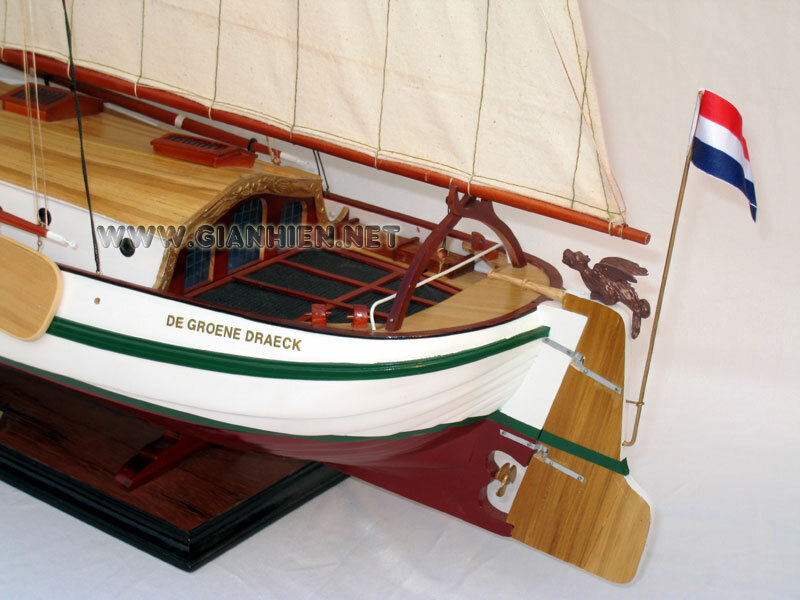 De Groene Draeck is a traditional Dutch round bottomed sailing ship, built in 1957 in Amsterdam. 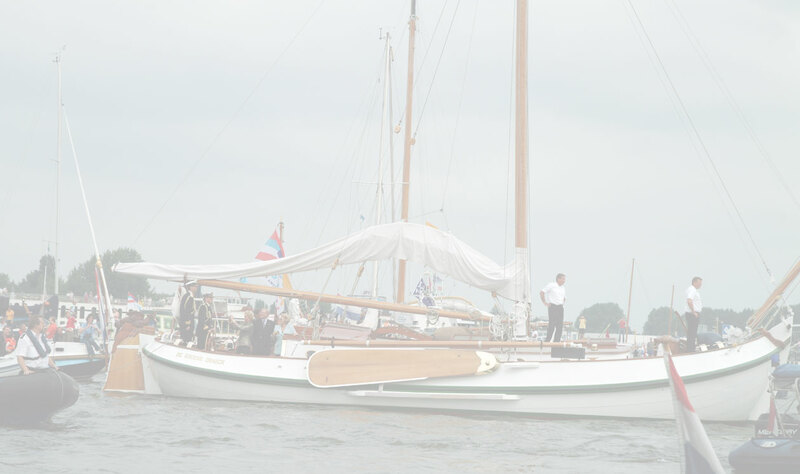 It was offered by the Dutch people to the then Princess Beatrix for her 18th birthday. 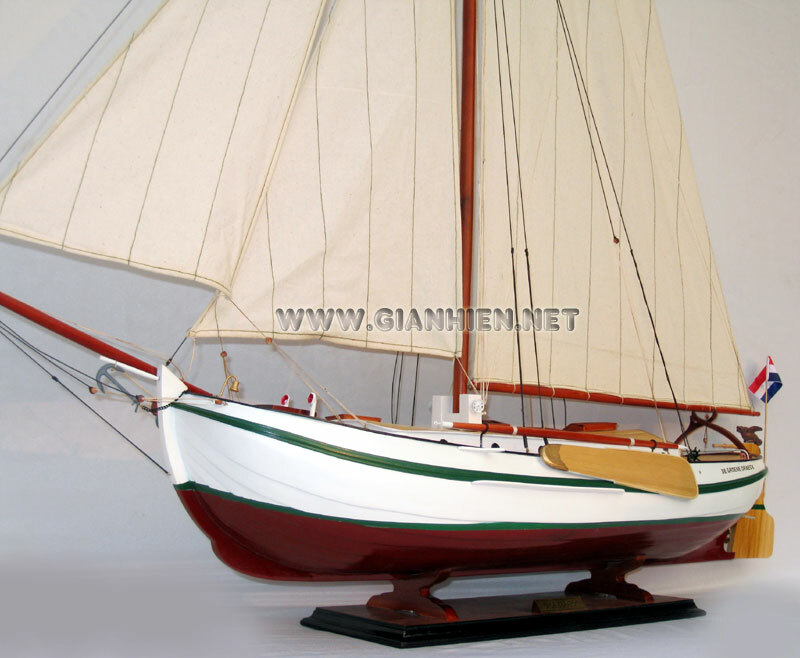 Her sail number is therefore VA 18. 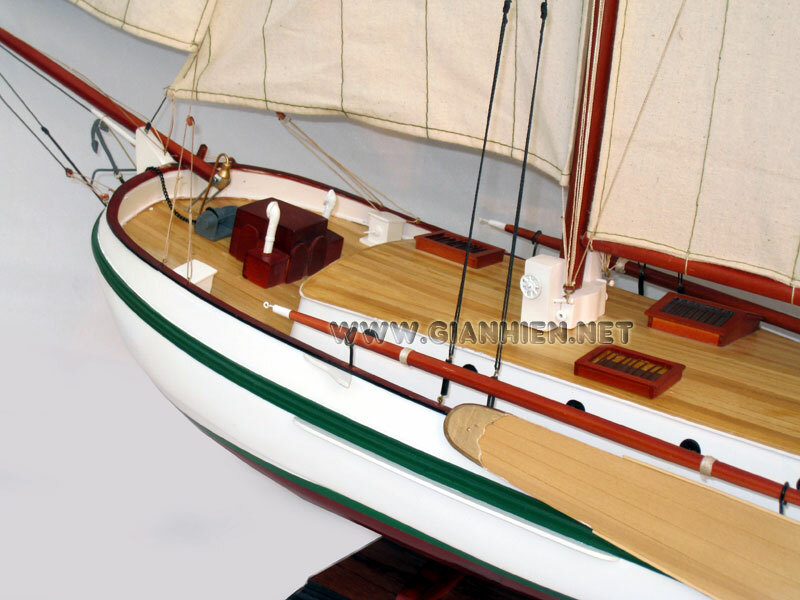 In the last few years there has been debate about the cost to maintain the ship, even at the level of government. 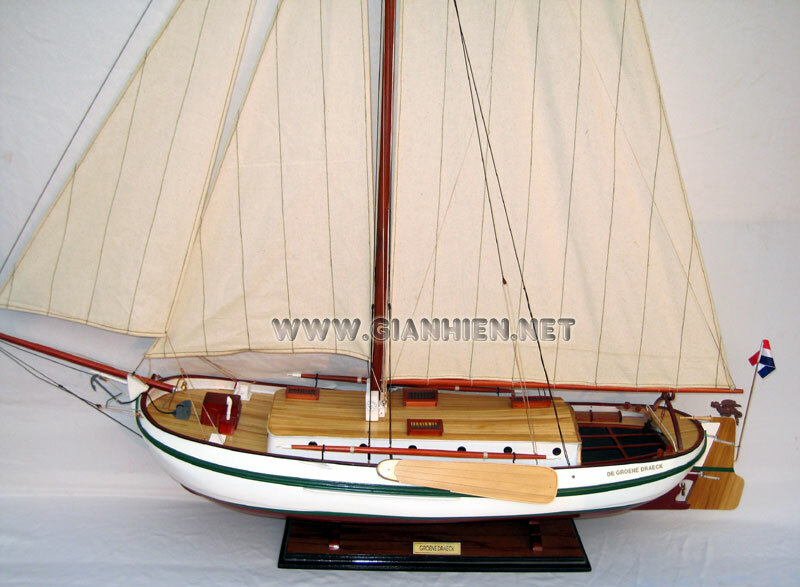 Packing: Model is packed with mast fold down to minimize the transportation cost.